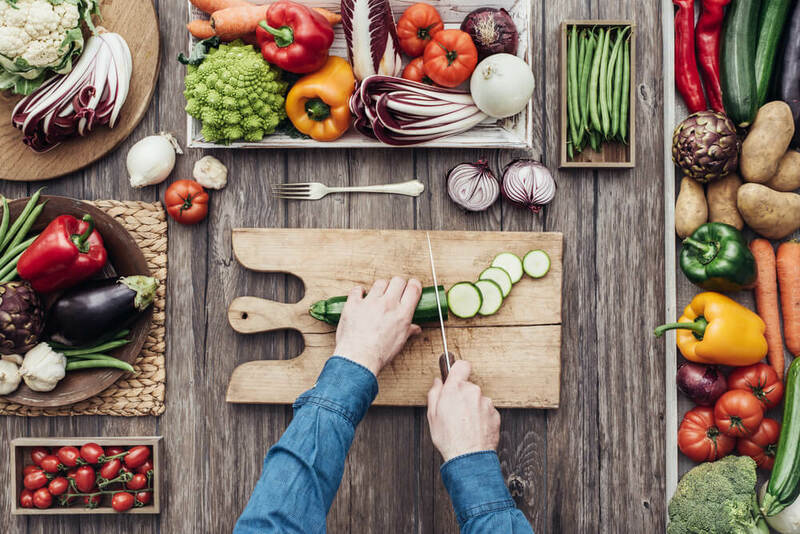 If you think that developing a healthy eating habit is something confusing and restrictive, you may need to change your mind. In fact, the essential step is actually to eat foods that are mostly derived from plants. It means that you need to focus on fruits, vegetables, legumes and whole grains. Then, don’t forget to limit your intake on highly processed foods as well. In case it still seems confusing for you, this article will show you some healthy diet tips that will help you to have a daily healthy eating habit. Not only help you to stay healthy, this diet tips can help you to stay in shape as well. So, let’s check this out! Let’s begin from what you need to eat for your daily diet. Since you decide to develop a healthy diet, there are some points that you need to take into account when it comes something that you are supposed to eat. Consuming a variety of foods is one of the keys for a healthy diet. In order to make sure that your body gets all of the nutrients and substances it needs, you have to make sure that you consume various foods. Moreover, it can also be helpful to limit your contact to any toxic or pesticide which can be present in a certain food. Then, it is also important for you to watch your portion. It is no doubt that you may be able to eat all the spinach and broccoli you want since these two are considered to be very healthy food that we can have. However, when it comes to high-calorie foods, it is no secret that you need to control your portion. It is better for you to limit your portion when it comes to a food that is styled in high calorie. When you are shopping your meal outside, don’t order something that is labeled ‘super’ in term of size since you will double your intake on calorie. Then, when you are eating in restaurant, make sure to opt for appetizer rather than an entrée. Next, you have to eat plenty of produce as well. Try to aim for two and a half cups of veggies and then two cups of fruit every day especially if you are on 2,000 calorie diet. In case you consume more calories, it means that you are better to aim more veggies and fruits too and vice versa. Include produce with various colors to make sure that you get all of the benefits. Involve orange, green, blue/purple, yellow and also red produce. The nutrients as well as other compounds available in these produced are likely to help you combat particular types of cancer as well as other diseases. Minimally, half of your grains are better to be whole grains. It means that on this healthy diet tips, you can aim for something like barley, oats and whole wheat. Whole grains are known to provide all the nutrients that our body need. When shopping for whole grains, make sure that you select the one that is labeled ‘100 percent whole grain’. Fatty fish, avocados, vegetable oils and then nuts are known to provide healthy unsaturated fats. Even though these foods are considered high in calorie, they are not likely to promote weight gain since they are satisfying. Then, when it comes to fish especially fatty fish, you must have known that they can help to diminish the risk of heart disease since it offers high amount of omega-3 polyunsaturated fats. In addition to the foods that you need to enjoy, there are other foods that you are supposed to limit. Here are some of the foods that you need to limit for healthier body. It is sad but true that refined carbohydrates that you find in white bread, most snack foods and regular pasta have little or even no dietary fiber. When you are shopping, keep an eye on food that is labeled with wheat flour which is also called white, enriched or refined flour. Furthermore, it is also better for you to limit foods that have added sugar like candy and soda. This is because these foods are known as the resource of empty calories which contribute to unhealthy weight gain. A lot of sugary foods are high in fat as well, so those foods are very rich in calorie. On your healthy diet program, it is also recommended for you to limit the intake of animal fat. Saturated fats particularly from processed meat and red meat are found to be able to improve the ‘bad’ LDL cholesterol. To cut down on this food, you can opt for skinless poultry, lean meats and low-fat or nonfat dairy products. Trans fat are provided by partly hydrogenated vegetable oils which are utilized in various processed foods like snack foods, commercial baked goods and also stick margarines. You can also find this substance on fast foods like French fries. Trans fat are known to raise the ‘bad’ LDL cholesterol while reducing the ‘good’ HDL cholesterol. That’s why this substance is frequently linked to higher the risk of heart disease. If you can avoid alcohol, at least you need to drink it in moderation. It means that you need to drink no more than one in a day. When you get older, you even need to drink less. When you drink alcohol in moderation, it may offer you health benefit. However, too much intake of alcohol can drive you to certain type of cancers. Those are several health diet tips that you can follow in order to stay in shape and get the most of your healthy body. The last but not least, you need to mind your mental health too for a healthier and happier life. 2 Responses to "Healthy Diet Tips to Stay in Shape and Healthier"